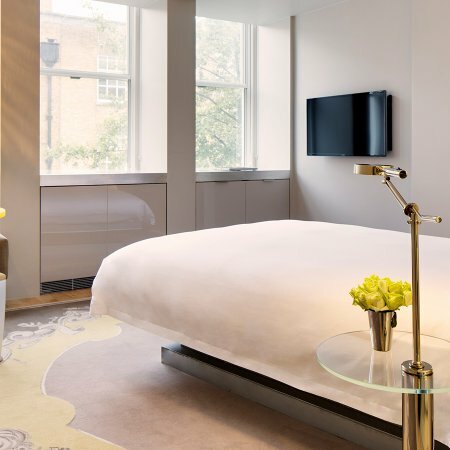 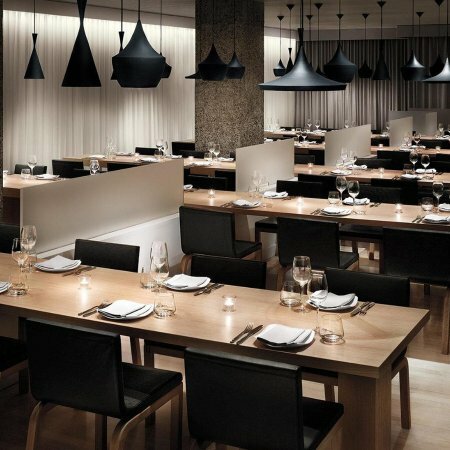 Just moments from Oxford Circus, The Sanderson hotel on Berners Street offers five-star style and service. 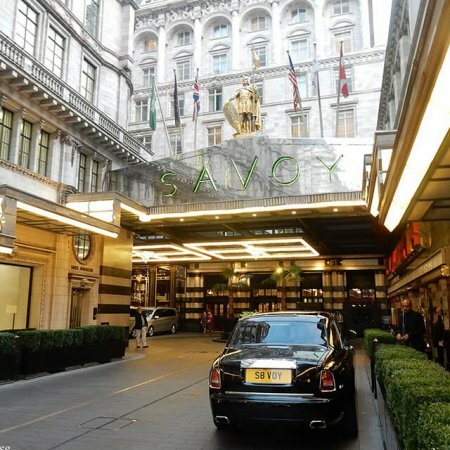 It was originally built as a showroom and headquarters for the famous fabric and wallpaper manufacturers Sanderson & Sons, a company which still exists today, and is Grade II listed for its design and significance. 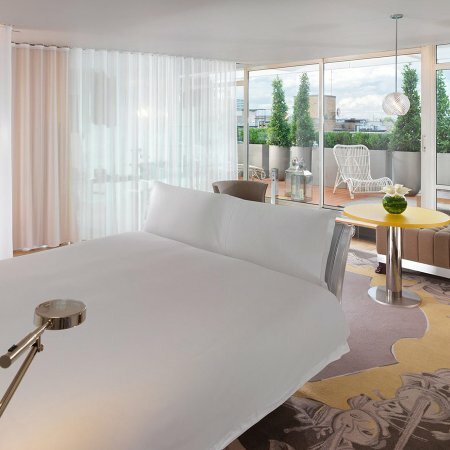 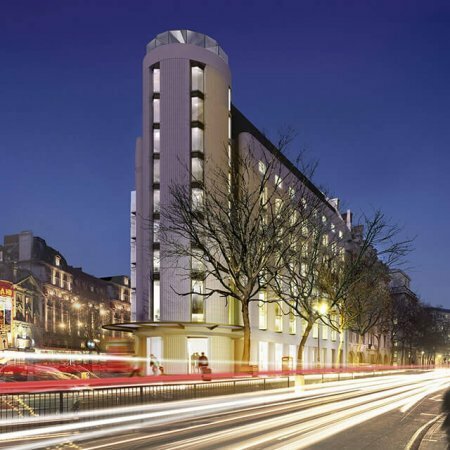 It was converted into the luxury hotel in 2000 by famed French designer Philippe Starck, following the success of his work on St Martin’s Lane Hotel. 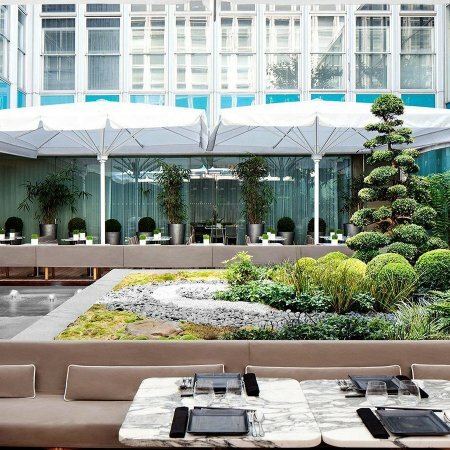 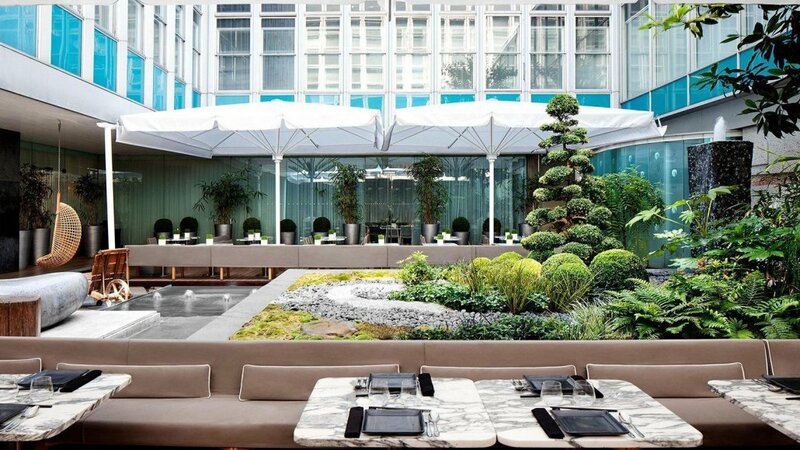 The hotel centres around a beautiful open courtyard featuring a Japanese garden which is an original feature created by Philip Hicks in the 50s. 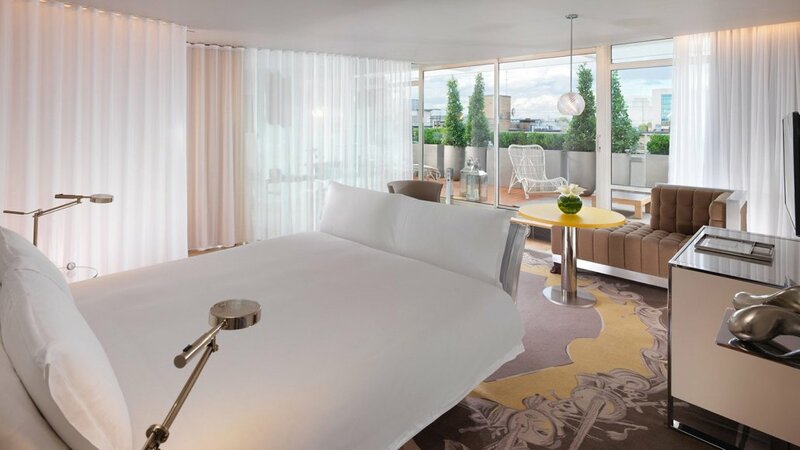 The rooms were redecorated in 2014 by Tim Andreas, who trained under Philippe Starck, creating a fresh design in harmony with the hotel’s original look. 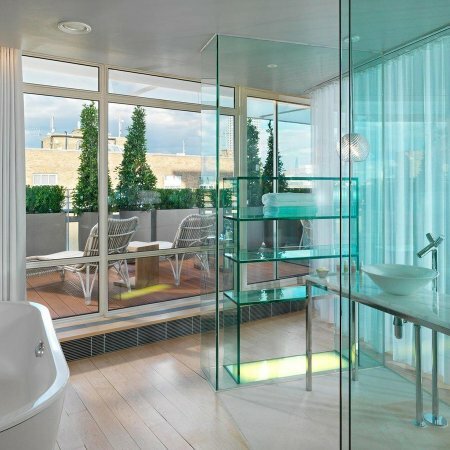 Influenced by 17th century English manor houses with oak wood and pastel colours, it is expertly blended with modern features such as a floor-to-ceiling glass bathroom doors and in-room technology features. 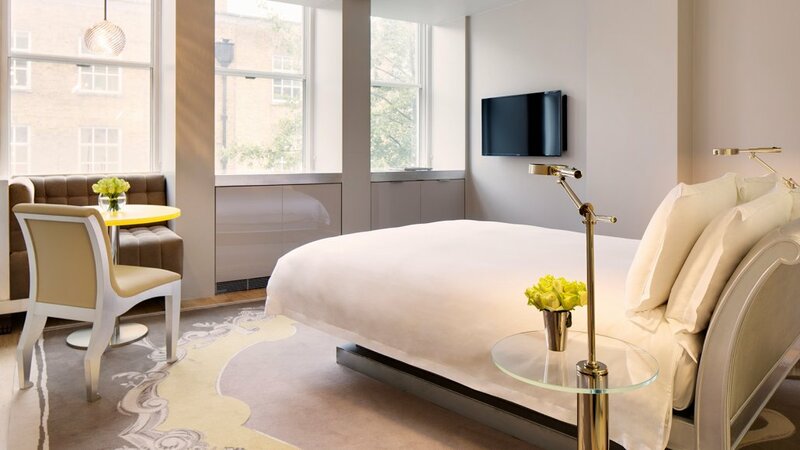 Decorative rugs and blinds feature English landscape paintings so you’ll never feel like you’re so close to the bustling West End. 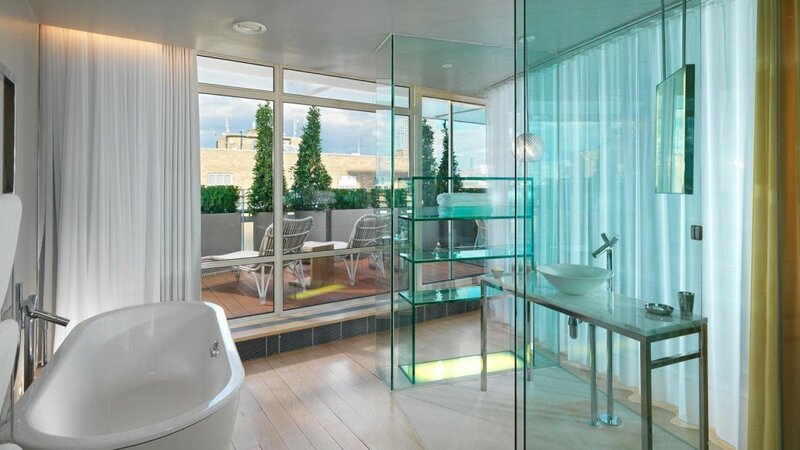 Suites are available with or without a terrace, or opt for the penthouse with romantic furnishings and amazing views of the London Eye. 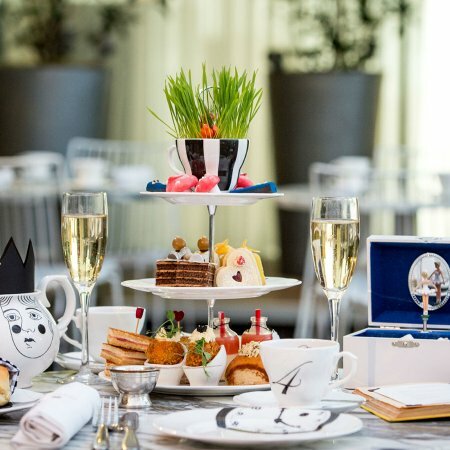 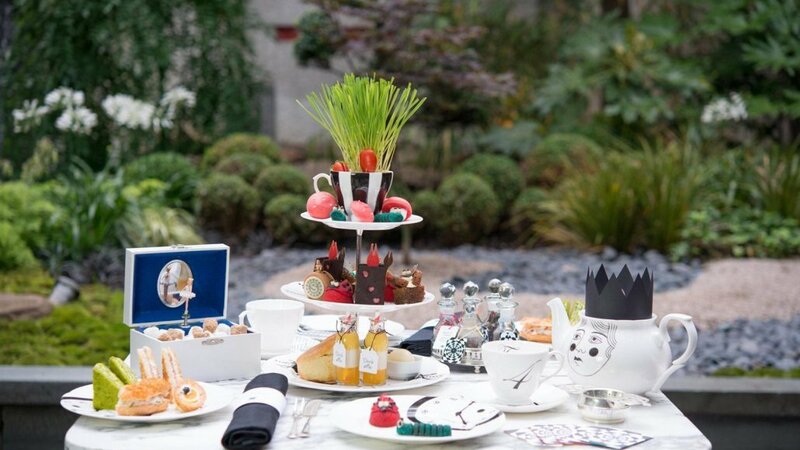 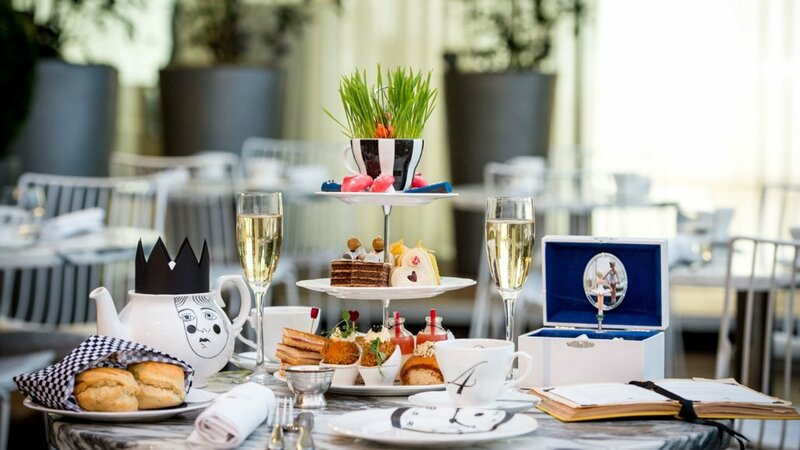 The restaurant at the Sanderson offers a seasonal rotation of continental cuisine using some of the best British ingredients but by the far most popular dining experience is the Mad Hatters Afternoon Tea. 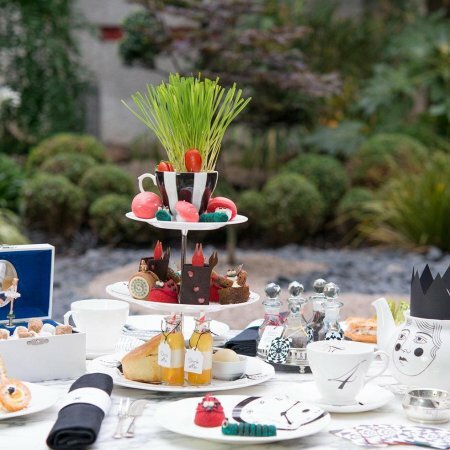 The Alice in Wonderland-themed ritual is one of the best loved in the city. 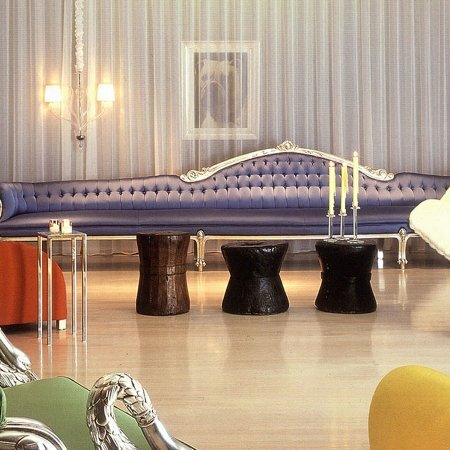 The Long Bar lives up to its name with an 80 feet onyx centrepiece from which your drinks are served. 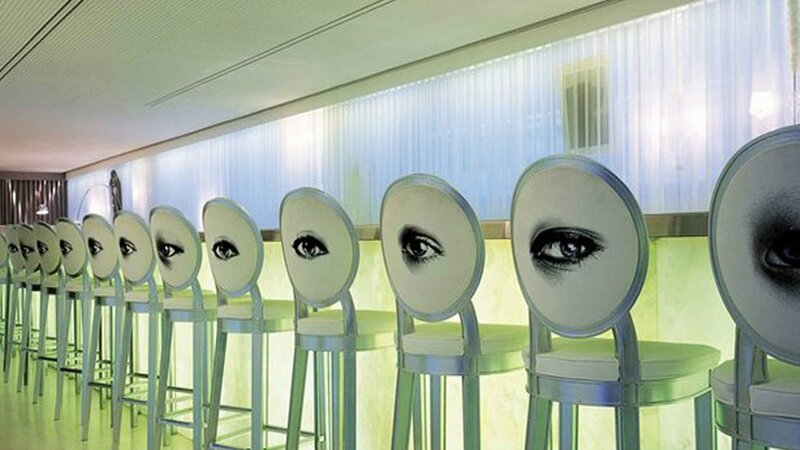 Live music and DJs make this a lively weekend spot. 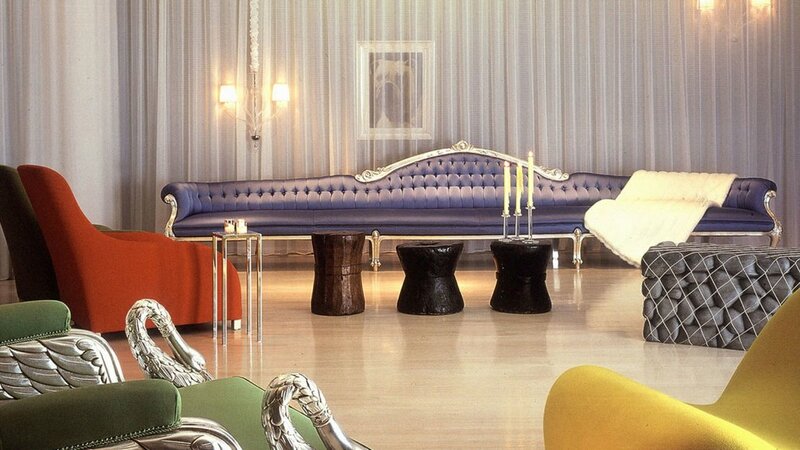 For something a little more romantic, try the plush Purple Bar swathed in silk and lined with Venetian mirrors. 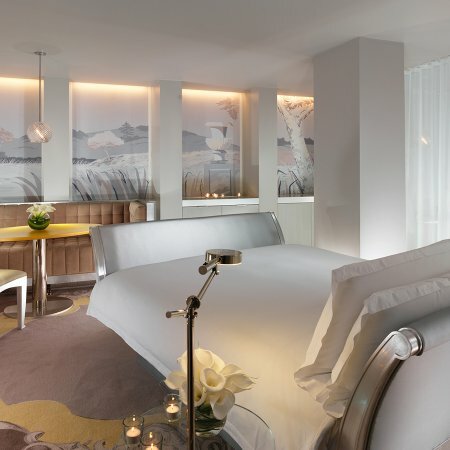 The expansive Agua spa offers premium relaxation and the Sanderson is also one of the few 5-star hotels to offer complimentary bike hire to explore the city. 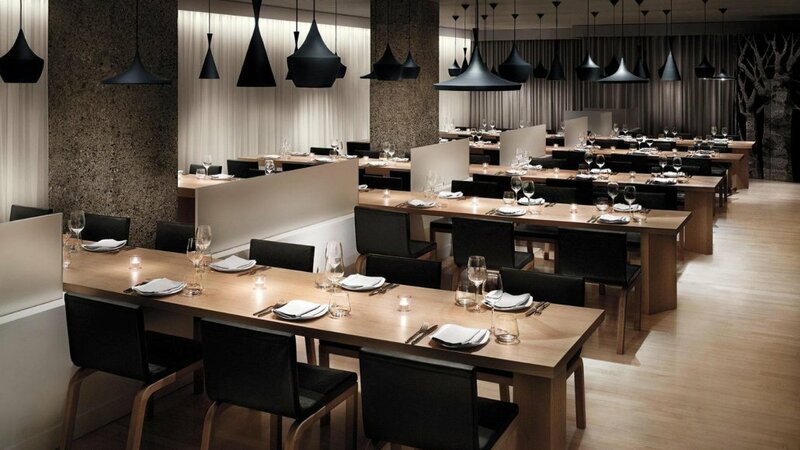 50 Berners Street, Fitzrovia, London W1T 3NG, United Kingdom. 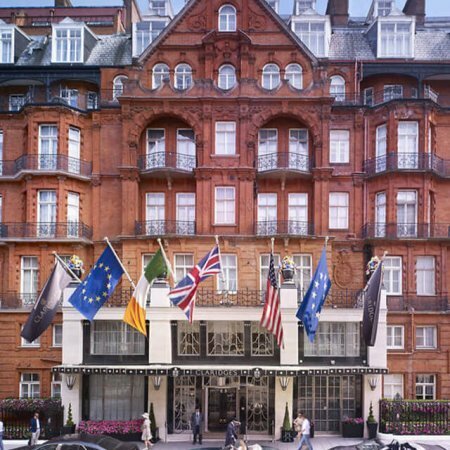 Air Conditioning, Bar/Lounge, Al Fresco Dining, Restaurant, Mad Hatter’s Afternoon Tea, Meeting Rooms, Executive Board Room, Private Conference Facilities, Wedding Venue, Connecting/Adjoining Rooms Available, Silver Leaf Sleigh Beds, Private Bathroom/Dressing Room, Shower, Free Toiletries, Bathrobe, Slippers, Hairdryer, Egyptian Cotton Sheets, Premium Bedding, Flat Screen TV, Free Internet Access, Cable Channels, Pay TV, Desk, Wardrobe/Closet, Minibar, Ironing Facilities, Safety Deposit Box, Telephone, Non Smoking Hotel, Multilingual Staff, Gift Certificates, Gift Shop, Wheelchair Accessible, Private Parking On Site, Valet Parking. 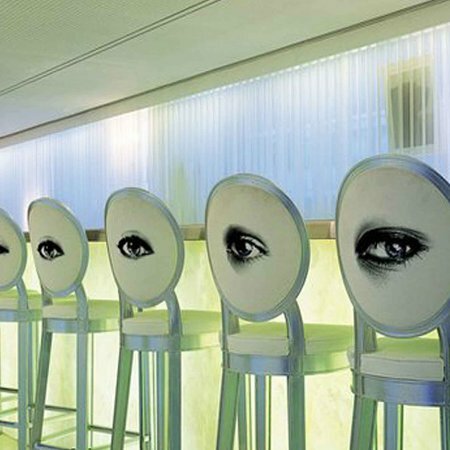 24hr Fitness Centre, 24hr Gym, Workout Room, Personal Training Sessions on Request, Boxing/Kick Boxing Sessions on Request, Full Service Spa, Spa Tub, Spa Parties, Treatment Rooms, Rejuvenating Treatments, Meditation Beds. 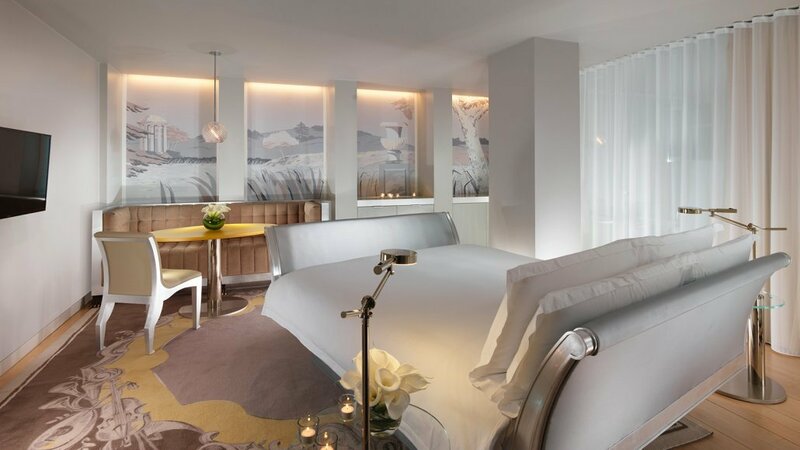 Business Centre, A/V Capabilities, Plasma Monitors, Video Conferencing, VIP Services, Concierge Services, 24hr Front Desk, Airport Transportation, Luggage Storage, Laundry Service, Dry Cleaning Service, Room Service, Babysitting/Childcare Services, Turndown Service/Wake-up Service.